- Do your fans' comments and letters influence you in any way? Certainly they do. 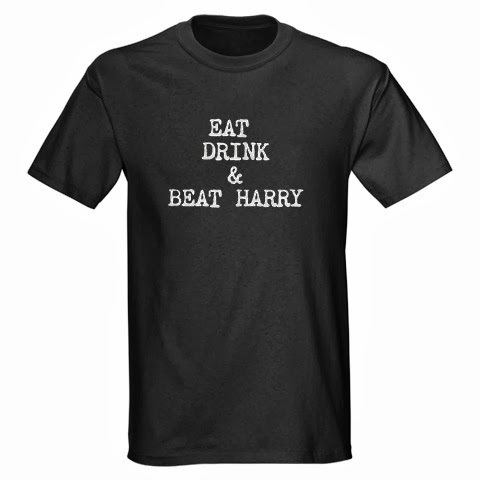 I would be foolish not to listen to the fans. Having said that, if they want me to unite say, Carolena with the ax murderer two houses down the street--Well, I might and I might not. No tellin'. Where would the fun be if I didn't give readers lots of surprises? I know I've done my job when I hear a reader say, "I never saw that coming!" - Do you have a favorite comment or question from a reader? - Why did you decide to write romance novels? Because you are supposed to write what you like to read. I'm a girl and I like romantic things. - How much of your personality and life experiences are in your writing? I will never tell. I will say that some of the goofy scenes MIGHT be patterned after my personal "Lucy moments." 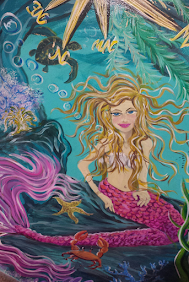 I'm always writing about those crazy times in my Gracious Jane Marie/Amelia Island Florida Books Blog at http://graciousjanemarie.blogspot.com/ . 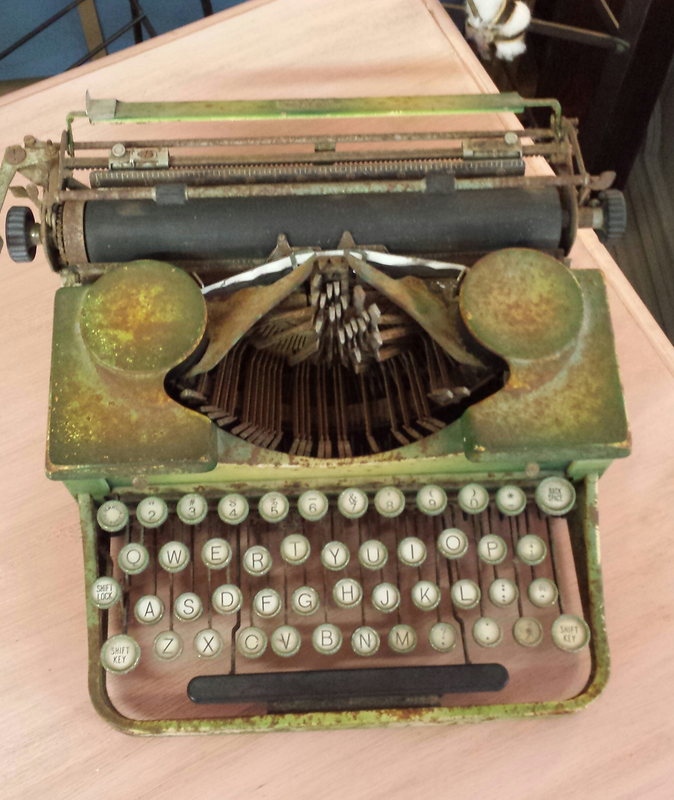 - When did you first think about writing and what prompted you to submit your first ms? Here is the quick version. We were going to move from our home in Fernandina on Amelia Island, Florida. I was heartsick. 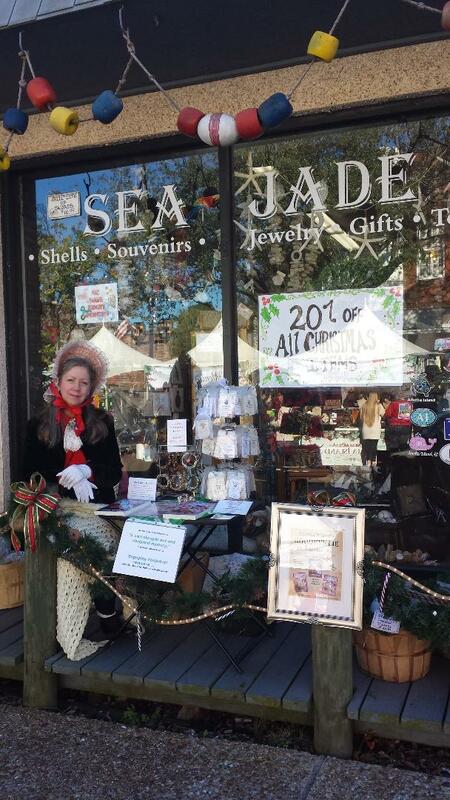 I was working at the local Christmas shop in our delightful seaside Victorian historic district. I thought writing a book would be a good way to remember our little town. When completed, I would put it in my daughter’s hope chest for future generations. So, since I love Victoriana and romance and mystery and suspense, I asked myself how hard could it be to write a book? That was 4 books in the series ago. (All 4 are written with Sand and Sin coming out as soon as it is edited.) Before I could begin writing, a man in a yellow slicker raincoat entered the shop selling his catch of the day, fresh shrimp. He had craggy skin, although he was probably only in his 40s, gorgeous blue eyes like those of a husky dog and auburn curls for which any woman would kill. 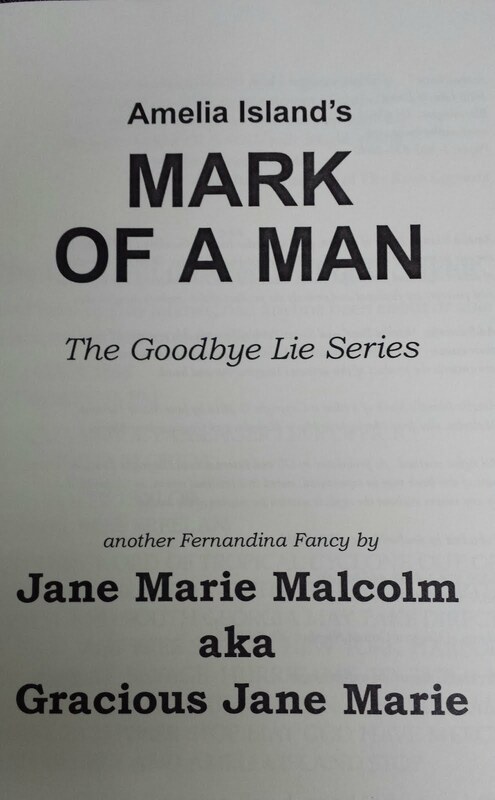 When he left, I said aloud, "Jane Marie, you have your first character, his name will be Catfish, and he's going to be in your book.” And he is, in The Goodbye Lie! - Generally, how long does it take you to write a book? 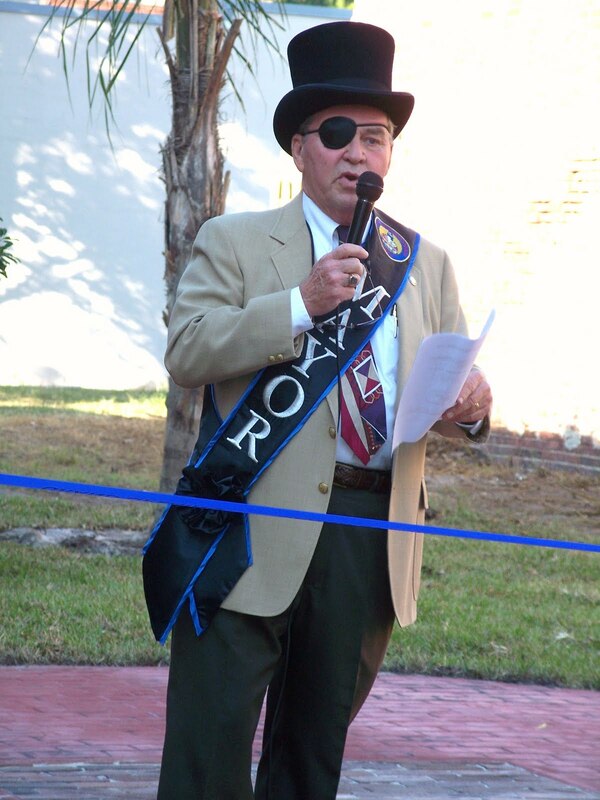 Between one and two years what with the inclusion of life, death and politics (my husband was mayor of Fernandina Beach, Florida) plus keeping up my blog, making all the tie-in crafts and doing as many book signings as I can squeeze in. Rest assured, writing is my first love, after God, my family and my country. - Do you have a set schedule for writing or do you just go with the flow? Go with the flow. I do know that the hour hand spins super-fast when I'm writing and darkness comes early... I get lost in the lives of my friends, the characters, trying to decide how they will untangle the difficulties which always find them. - What is your writing routine once you start a book? I have a basic idea. After researching the particular where and when and what (an actual historic event maybe), I write a very rough one page outline- sometimes. Then I start typing Chapter 1 and go to the The End. Then I go back and punch it up with details and dialogue and then I edit, check facts, rewrite, rewrite, rewrite, 20 plus times and THEN my stories are professionally edited because no one can see all their own typos. Your brain knows what you want to say so ignores many typos, try though you might to catch them all. - What about your family, do they know not to bother you when you are writing - or are there constant interruptions? Both, but I can easily deal with interruptions. I might jot down a thought so I won't forget but I almost remember many scenes from my books word for word. Almost. - What do you do to relax and recharge your batteries? We visit family and play with my grandchild, an angel on earth. The best part is she loves me tons. We sit down on the floor and play, play, play. When Grammy visits, that’s me, it's like "Circus Comes to Town" for both of us. I also love to paint my Velvet Undertow Secret Pebbles™ - small glass stones featured in the novel. (When I wrote Secret Pebbles™ into the story, I actually cried as I typed because I was so touched. I was probably quite a sight!) By the way, the secret in the pebble is what two people share. Secret Pebbles™ are available at www.GraciousJaneMarie.com. 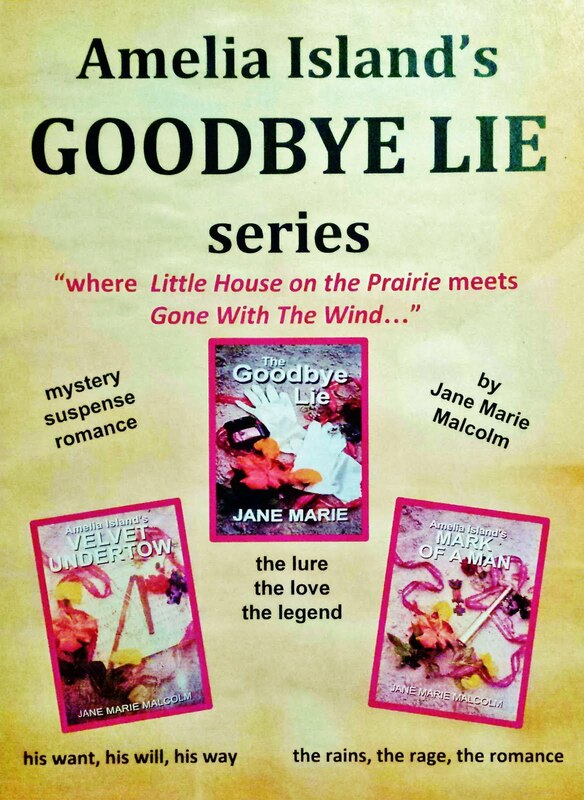 I can’t forget my hand painted greeting cards, tic tac toe boards and glass, just some of my Goodbye Lie Keepsake Collection, all of which tie into the novels. 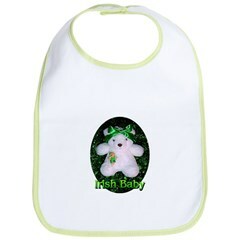 They can be seen at books signings and craft shows. I garden and play handbells. (I much prefer the practice versus performance). We go to the movies, theater and walk on our Amelia Island beach. We travel when we can. We do all the usual fun things everyone else likes to do. - Do you feel humour is important in women's fiction and why? Yes! Yes! Yes! Making folks laugh is a major dimension in life and must be included in fiction where possible. Two of my favorite characters are Peeper, the grandmother who adopted the Dunnigan family, and nasty Aunt Noreen who lives next door. Everyone knows an Aunt Noreen type, someone you just want to slap, but proper society prohibits such acts. The squabbling the two of them get into is a riot to write. - What are your thoughts on love scenes in romance novels, do you find them difficult to write? I prefer tasteful romantic scenes. I always tell my readers, I write the romance so I won't be embarrassed when my father reads them. Heads nod in understanding after that. God gave us all a wonderful imagination. I set the scene and give direction and the readers can take it wherever they want for themselves. No, I have no difficulty writing tasteful romance. It's fun! - What kind of research do you do? Everyday is research for me because I am an observer of people, emotion, interaction, places, scenery, animals, phrases, names, etc. From the airport lobby, to the grocery store to the flea market, people are just plain interesting. I've taken docent classes at our local oral history Amelia Island Museum of History. I love "period" anything, especially the Victorian era. Libraries, online, the History Channel, PBS - anywhere I find interesting facts, I gather then use them. I even had a park ranger at the Johnstown, PA National Flood Museum read my manuscript for accuracy concerning the great flood of 1889 that is a major part of my second novel, Velvet Undertow. - Would you like to write a different genre than you do now, or sub-genre? 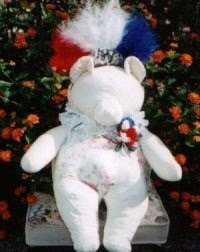 Readers may not know I also write modern day silly teddy bear stories ... Martha Bear® is the white teddy bear I made many years ago. 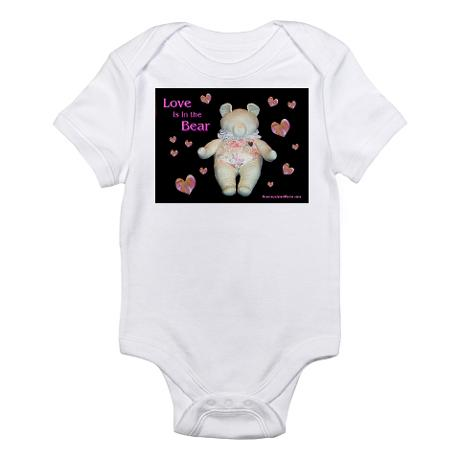 She is the spokesbear for our site ... and featured in each of The Goodbye Lie series novels. I also, of course, write my blog in lots of styles and lots of genres. Why? Because my thoughts are "Random Ricochets Off the Backsplash of My Mind." That's what I call my public speaking engagements. I never know just what I'll say since I have so many fun things crammed in my brain. But wait! There’s more! I have a [fun] manuscript about a 9 year-old girl finished and another fictional manuscript set in modern Hong Kong. (We were lucky enough to have traveled there and, naturally, I couldn’t waste all the grand material I harvested.) I'm almost done with a Martha Bear book draft, too. They are all on the “to be edited” list before they go to the publisher, but they are written. - What does your husband/wife think of your writing? My husband, Bruce, is my biggest fan. I am truly blessed to have him. He, too, is part of my world as Captain Fancy Patch of the Rosey Freckle. He reads a bedtime story as this character on YouTube. The story is called The Great Amelia Island Sniff-off. - Do you ever ask him/her for advice? Yes. When I first started writing, a man read my manuscript and told me I didn't kill people very well. My husband, a former Marine, gave me some pointers. - Do you have a favorite author? Favorite book? Yes. Margaret Mitchell, author of Gone With the Wind. 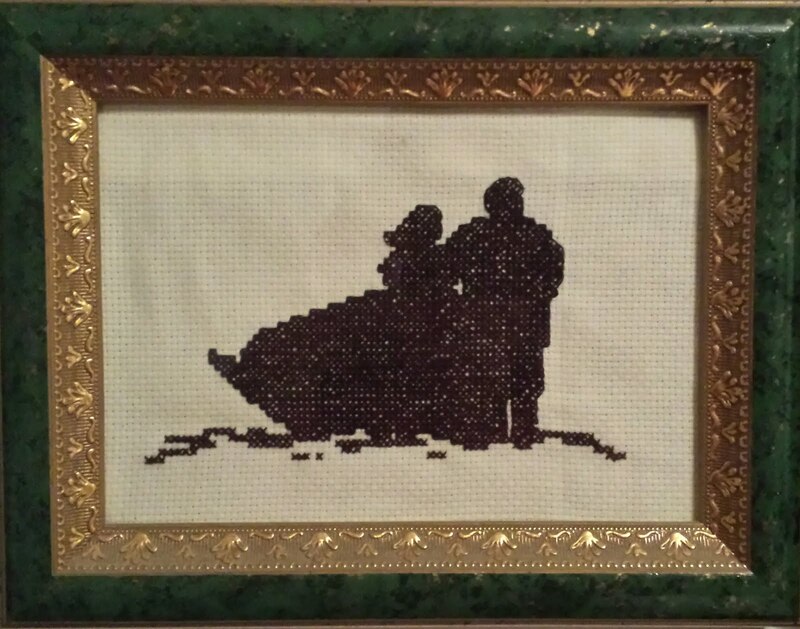 I first saw Gone With The Wind when I was 9. My loving father took me. Later I read the book as a teen, carrying it to high school every day. I fell in love with the characters. That's why the compliment about my Goodbye Lie series, "where Little House on the Prairie meets Gone With The Wind" means so much to me. 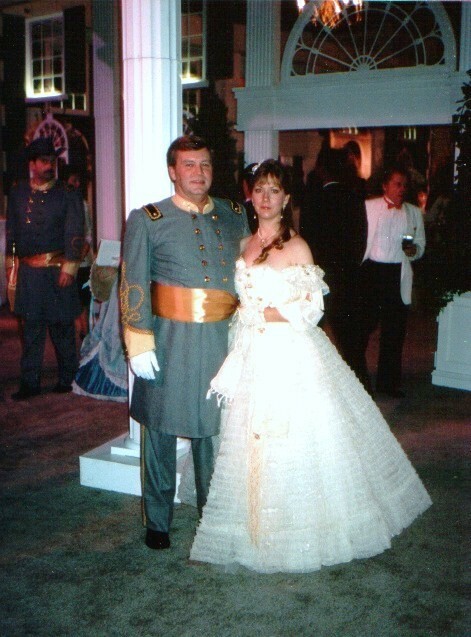 Bruce and I attended the Gone With The Wind 50th anniversary costume ball in Atlanta, GA, celebrating the book's release and three years later, in a different gown I have to add, we went to the 50th anniversary re-premiere of the movie’s original premiere ... My personal favorite actor of all time is Clark Gable, but then that’s just me … or is it? - Who, if anyone, has influenced your writing? My mother, Marie, for one person. She gave me the gift of correct grammar. What a wonderful help to an author. It makes an editor happy, too. That’s not to say, I speak by all the rules. English is a pretty difficult language to learn as we all hear. 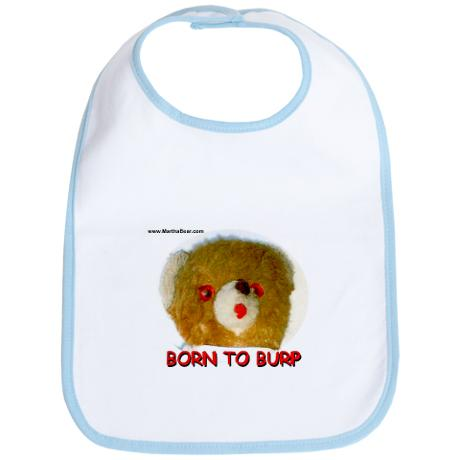 I’m happy I’ve been talking like this since I was a baby. Thankx, Mom. Okay, I need a little work on my spelling. In the interest of equal time, my father actually took a 6 weeks writing course in Erie, PA, my hometown, just so he could send me all the material and lessons. That is one more proof I had the perfect parents. - How long have you been writing - have you always wanted to be a writer? I've been writing for over 20 years in one form or another. No. I never wanted to be a writer although I did like winning most of the weekly grade school spelling word story contests, which were voted on by the kids. [I have no proof of this, just my recollections.] See the question above about why I began writing. - How many books have you written, how many have been published? - After you've written your book and it's been published, do you ever buy it and/or read it? Once in a while, I go back and look at a page or two. I don't have time to spend reading the whole thing because that takes minutes away from creating more stories. - Among your own books, have you a favorite book? Favorite hero or heroine? I can’t say I have a favorite book because that would somehow feel wrong, like saying you had a favorite child. The Amelia Island setting and Dunnigan family characters are the same, but the stories are completely different adventures. - Which comes first, the story, the characters or the setting? For my Goodbye Lie series, it's the setting. I mean, look at this place. Fernandina on Amelia Island, Florida is a Victorian seaside paradise, perfect for a storyteller. When I get a moment, I want to put together a Goodbye Lie driving tour of the island so readers can visit over a dozen places here, many still standing, that are featured. - Are you in control of your characters or do they control you? They may plead, cajole, whine and beg, my characters, I mean, but in the end, I’m the boss! - Have you experienced writer's block? If so, how did you work through it? I have never had writer's block. Just the opposite. I try to slow my thoughts to corral the best ideas. If it sounds like my brain is in a constant whirl, which it is, you should hear me talk. I’m working but failing at slowing my speaking. I know my subject so when I talk, my enthusiasm just fuels my tongue and we’re off to the races! - What is the most rewarding thing about being a writer? The enjoyment I get meeting readers and seeing their faces light up when they talk about my stories and ask me questions- when they "get" what I'm trying to convey. - If you weren't writing, what would you be doing? I'd be a costume designer. - Are there any words of encouragement for unpublished writers? Write for the pure thrill of the sport. Write for yourself and you will have achieved the most important kind of success. You've made yourself happy and proud. - Where do you see yourself in five years? Having more of my stories, blog and crafts out there to share with readers. I want everyone to enter the gracious land of my imagination because it is a sometimes stirring, sometimes silly place to live. 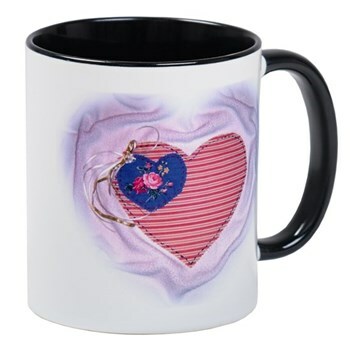 From rainbows, lace and teapots to flowers, romance and the home, welcome everyone and enjoy along with me! 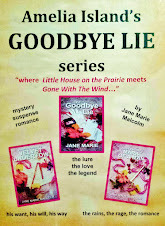 For Goodbye Lie e-books and paperbacks, visit my website/blog at www.GraciousJaneMarie.com or http://graciousjanemarie.blogspot.com/ or Amazon.com. By the way, I’m filling the Blog Blog Blog with silly stuff, gracious living ideas, my writing escapes and status of my stories, whatever I find fascinating. If I think it is interesting, I share! - How may readers contact you? 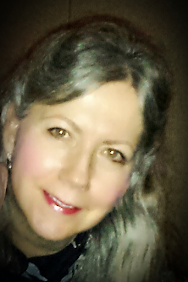 My email is graciousjanemarie@yahoo.com, where readers can ask me questions and leave comments. Thank you very much for taking the time with us and answering our questions. I really appreciate this interruption to your busy schedule. Good Luck, and we will be looking forward to the next delightful creation from your talented imagination! 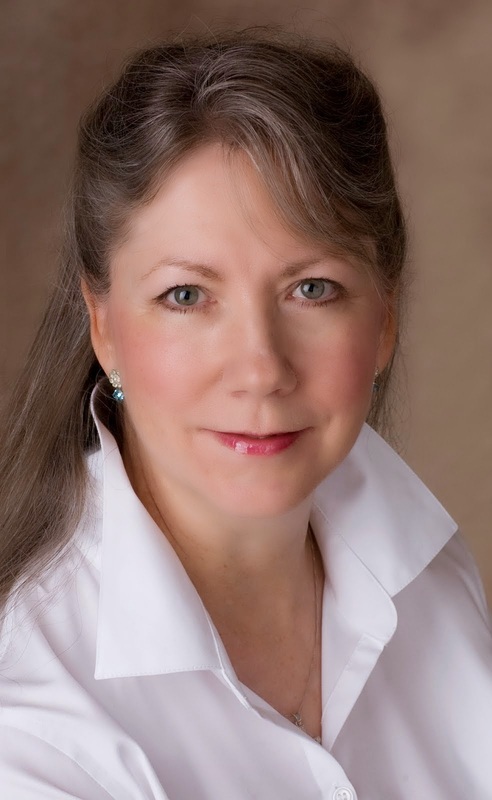 Posted by M Burns: Welcome ... to Author’s Digest and the ... interview with Jane Marie Malcolm, ... author of the Amelia Island’s Goodbye Lie Trilogy : The Goodbye Lie, Amelia Island’s Velvet Undertow, and Amelia Island’s Mark of a Man. Jane Marie talked about her (rather colorful) life and background. Today, she discusses her literary influences… and introduces us to her trilogy. Jane Marie, were there any books or authors that influenced your style? Little did I realize how watching the movie Gone With The Wind at age nine, and then reading Margaret Mitchell’s novel of the same name as a teen, would influence my future writing of historical romance. The strong hero, Rhett Butler, set the standard (in my mind and millions of others) of what tasteful-yet-thrilling romance should be. As I wrote my historical trilogy, my thoughts stayed within the limits of that kind of good taste. Having dedicated my first novel, The Goodbye Lie, to my father, I often tell readers, “I didn’t want to be embarrassed when Daddy read it,” and they understand what I mean. Jan Karon (author of the Mitford series), Jane Austen, and Laura Ingalls Wilder are at the top of my list of favorite writers, too. Tell us about your Amelia Island’s Goodbye Lie Trilogy. 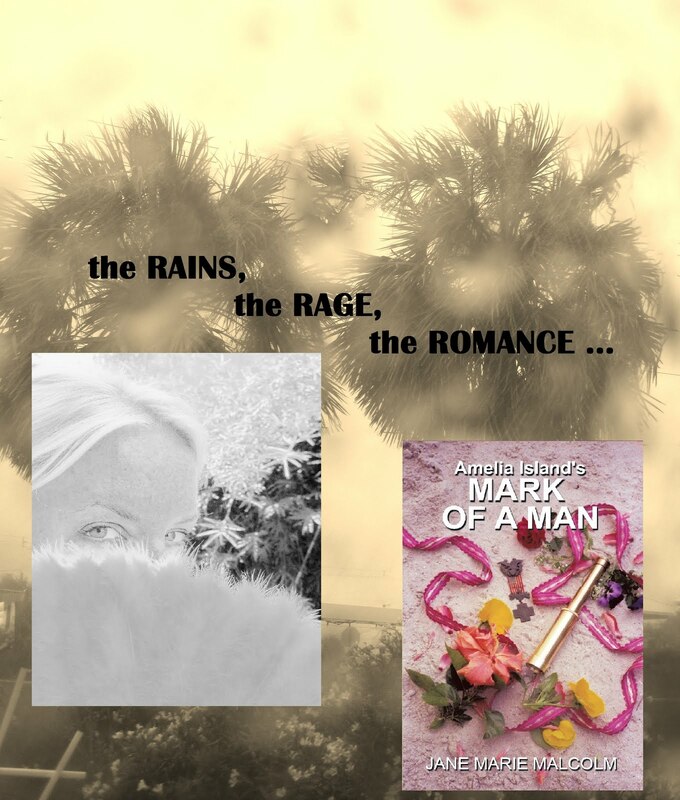 While some call Florida’s Amelia Island a romantic Victorian paradise, suspicion and betrayal are part of the seductive setting of the Amelia Island’s Goodbye Lie Trilogy as well. Exploring the captivating mysteries deep within the fictional Dunnigan family, the novels focus on the lives of each of their grown children. Discover where Little House on the Prairie meets Gone With The Wind on Amelia Island. 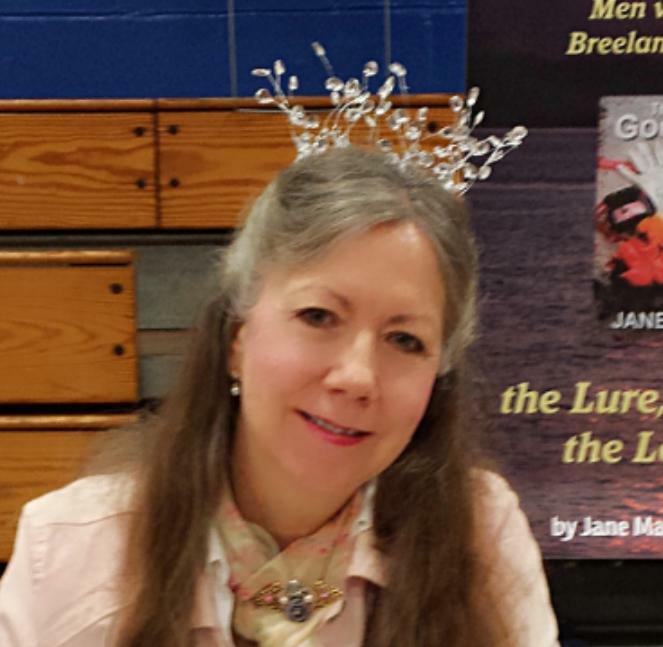 Jane Marie, what inspired you to write your book? How long did it take you to finish it? 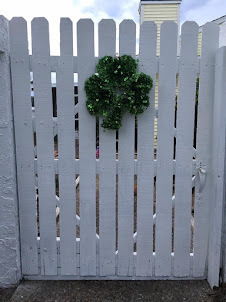 My husband lost his job due to company downsizing, and we were forced to move from our small town of Fernandina Beach on Amelia Island, Florida. 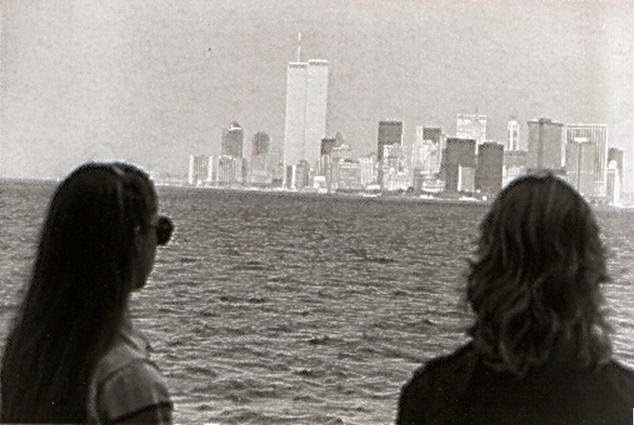 How might I remember this place we had come to love and would miss so very much? I’ll just write a book, I thought. You should write what you like to read, right? I love historical fiction. 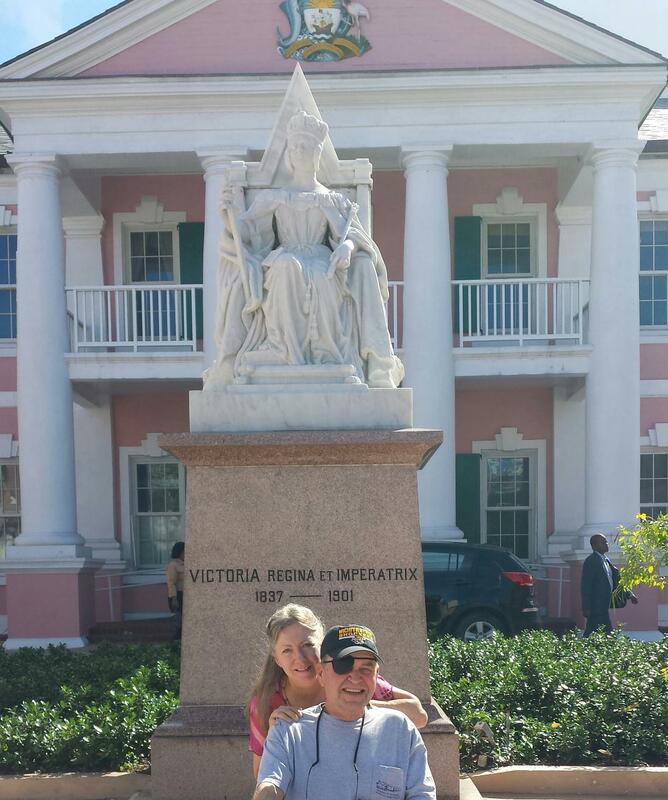 Since I had taken docent training at our wonderful Amelia Island Museum of History, I had those basics down. The rest came from my imagination. My intention was to write one book and put it in my daughter’s hope chest for posterity. We moved back to Amelia Island after two years. Little by little, family, friends, acquaintances and strangers read The Goodbye Lie and provided encouragement; the result was a confidence which filled me. When a woman I very much respected emailed me with: “GBL (Goodbye Lie) is a real world to me,” I felt validated. It was a sort of permission to continue to find out what happened to the other grown children in the fictional Dunnigan family. 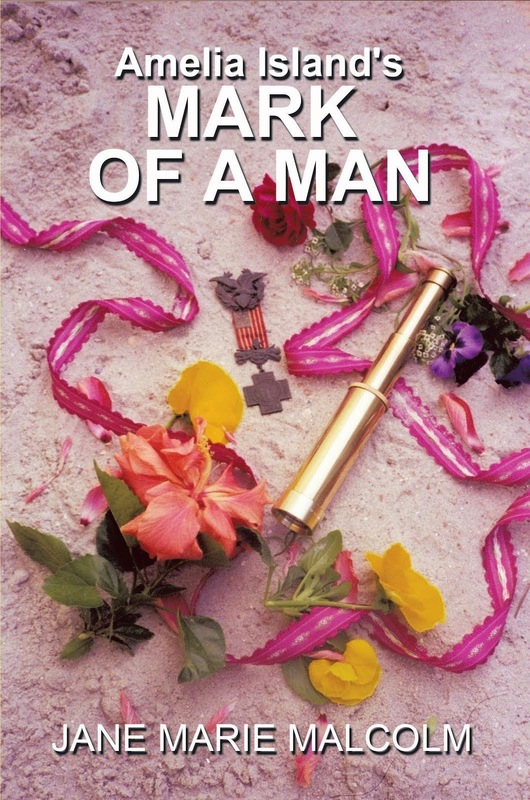 As a result, I ended up with a completed trilogy, each book taking about two years to finish… with a wonderful life, weddings, a grandchild, and politics slowing the process between novels? 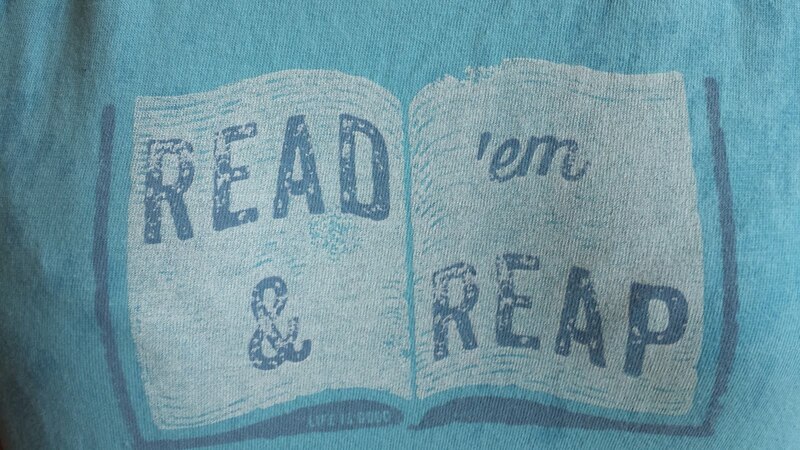 What’s the one message you’d like to convey to readers about your books? It’s simple. The key to happiness and love is forgiveness. Someone told me once to make a wall hanging or pillow before I tackled the sewing of an entire quilt. It’s the same with writing a book. Complete a short story first, then another, then move onto longer pieces. If you don’t mind the hours falling away as you write, or the sun yielding to the moon without you realizing it, or not talking aloud to anyone for extended periods while you silently converse only with the characters in your head, then writing is for you. Let go and enjoy! Jane Marie, are you working on your next book? I have several completed manuscripts that are in need of editing. One is set in Hong Kong, one is about our Martha Bear (“spokesbear” for our blog), and one is about the ravings of a nine-year-old girl, complete with my cartoon sketches. 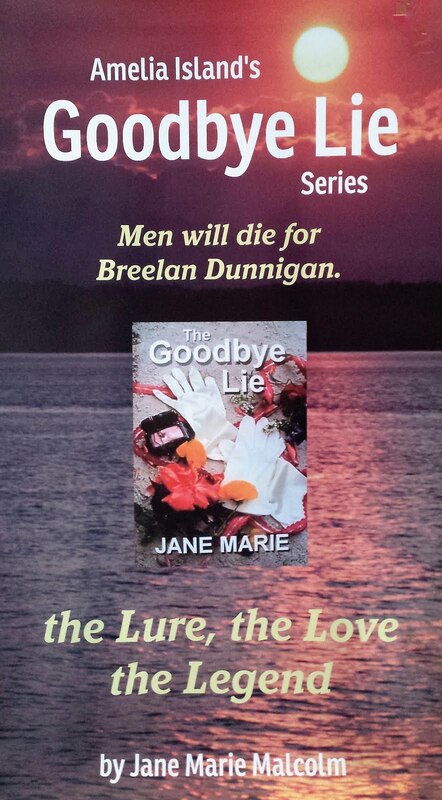 The next story, though, will the continuation of Amelia Island’s Goodbye Lie Trilogy Plus One. It’s called Amelia Island’s Sand and Sin. It’s about the Dunnigan family, their Aqua Verde Passenger Line, and the same Dunnigan Manor on Amelia Island, but is set in modern times! 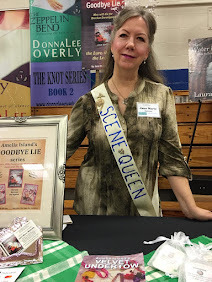 Do you have any events or promotions planned for your books? 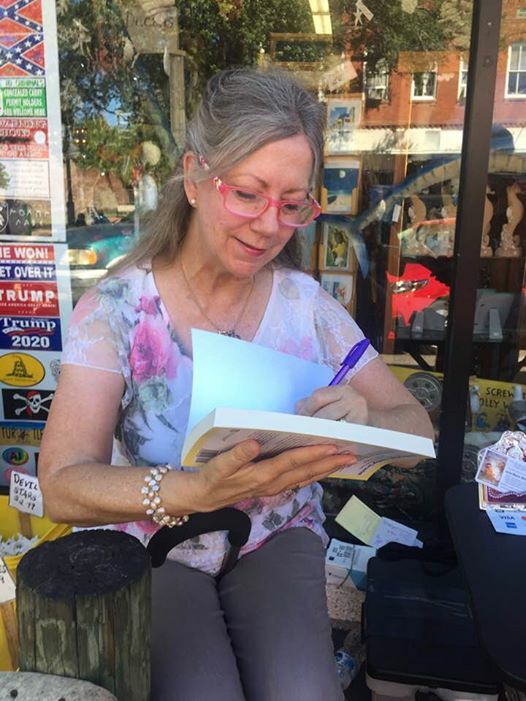 Book Signings - Sea Jade in downtown Fernandina on Amelia Island, Florida is the official home of The Goodbye Lie series! An old - Florida style souvenir shop on our main Victorian Centre Street, it is the perfect setting for my books because my stories take place there in the 1880s and 90s! I can often be found doing a book signing on the front porch. A driving tour around our historic Amelia Island of places/scenes from The Goodbye Lie is in the works. I’m also gathering ideas for a companion piece to go along with the series. I continue to give talks to different groups who enjoy reading about the Dunnigan family. I call them “Random Ricochets Off the Backsplash of My Mind” because I’m never quite sure what I’ll tell them, since I have so much to share. And I can’t forget my blog that features all kinds of tie-ins to the series, including The Goodbye Lie Diaries (written by the characters themselves). Is there anything else you’d like to add before we wrap things up? Island living has given rise to my writing. I’m blessed to find my stories in the ocean’s wind as I walk the beach along the edge of the world. Characters bombard my thoughts with their ridiculous banter, which leaves me laughing. Other times, their words are so tender, I feel tears in my eyes, literally. Often they surprise me with their deeds and misdeeds, which can turn the story’s direction after just a few syllables. 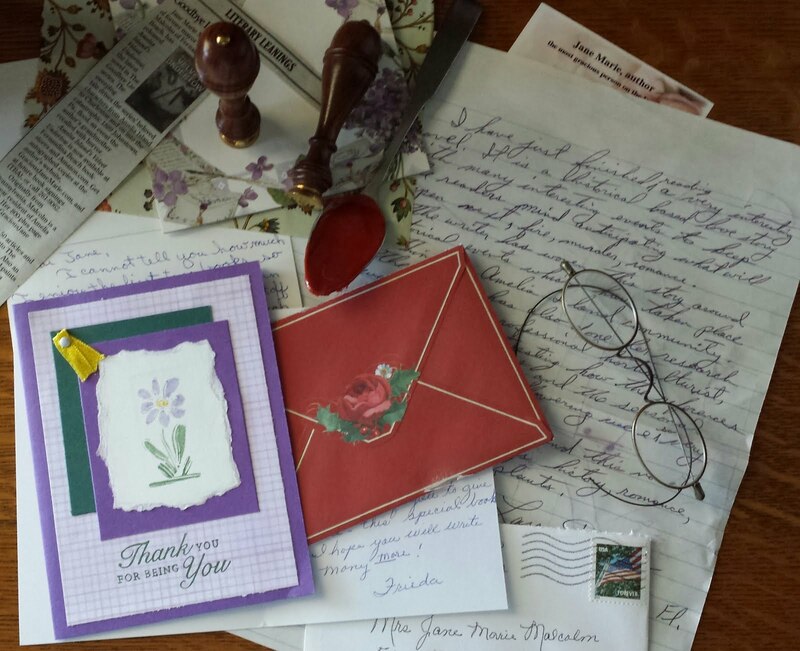 My fictional friends joined my family and, through my novels, may they become part of your family, too. And remember, no matter your circumstances, if you’re ever stuck, with regard to writing, look around you and inspiration will show itself. Write for the love of the sport. For more information about Jane Marie and her books, check out her blog at www.GraciousJaneMarie.blogspot.com. You can also find her on Facebook, Pinterest, YouTube, Instagram, and Twitter. Janet Smith is working on a degree in nursing and asked to interview me for an English class. I was flattered and, with her permission, I printed her piece which got her an A! 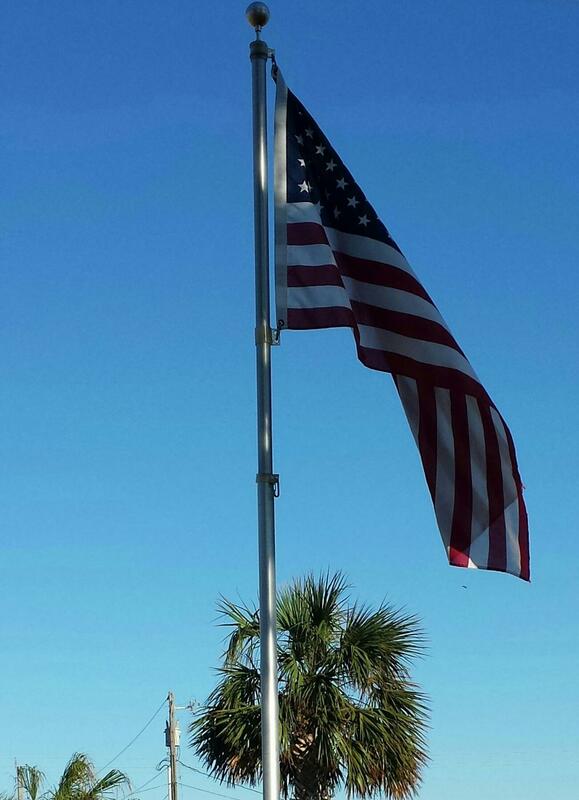 I was standing in a driveway in Fernandina Beach, Florida. In front of me was a quaint yellow single-story cottage. 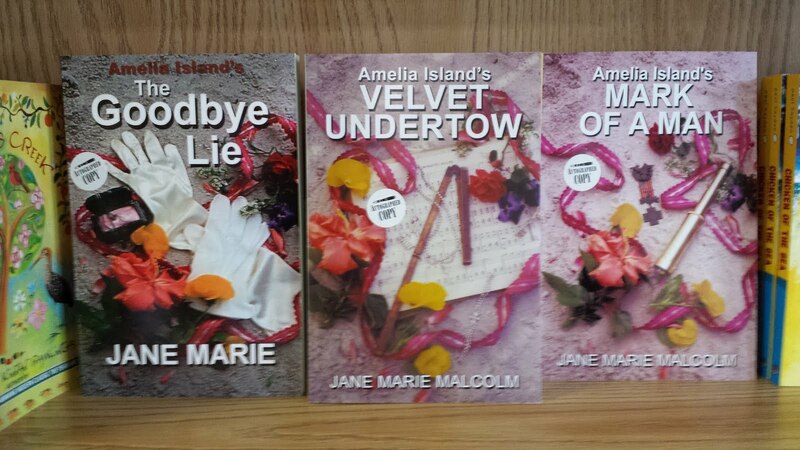 The author of the historical Amelia Island’s Goodbye Lie Trilogy, Jane Marie Malcolm, resides here. If I had any questions about being at the right place, the sign on the house, Stately Malcolm Manor, answered them for me. I was reminded of the old southern mansions that had names attached to them like Twelve Oaks from Gone With the Wind. 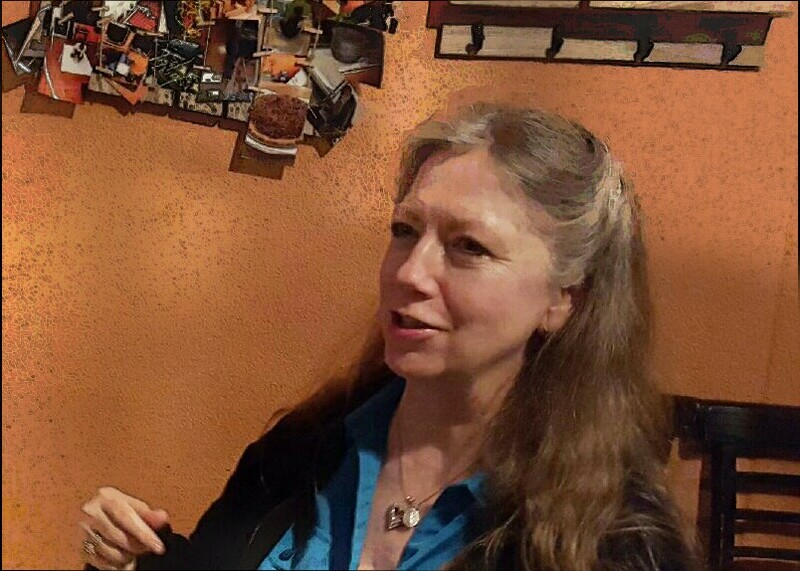 Jane Marie greeted me with a smile and, with genuine hospitality, showed me to my chair in the dining room. While she got our cold beverages, I took the time to appreciate the beautiful décor of her home. It is said your residence is a reflection of you, and I would say Jane Marie’s house certainly represents her personality. 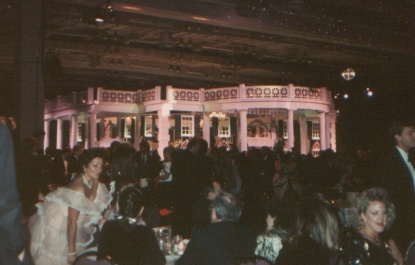 I felt as if I had been transported back in time, to an era of romance and grace. Throughout the house, I could see items that showcased her artistic abilities. On the dining table was an ordinary red brick, and on top of it stood a clay high heeled shoe covered in green vines and leaves. A whimsical head with leaf-like wings adorned the apex of the heel. “What do you think?” Jane Marie asked. “I love it!” I replied. “It’s like angels are walking with us.” Jane Marie said she wanted to use my words as a title for her piece. I felt honored. Jane Marie or "Gracious Jane Marie," as her fans call her, is the very essence of grace mixed with wit and a sunny disposition. She is soft spoken as a real genteel woman would be. Her long hair gives her the appearance of someone who belongs back in the time of her writings. She makes you feel what you have to say is important, and when she laughs, it is contagious. You can’t help but laugh, too. When I asked her the date of her birth, she giggled and said, “In the twentieth century.” Even though she refused to tell me, Jane Marie pointed out her framed birth certificate hanging in the kitchen. On the aging paper was the month, day and year. I decided to keep her secret to myself. 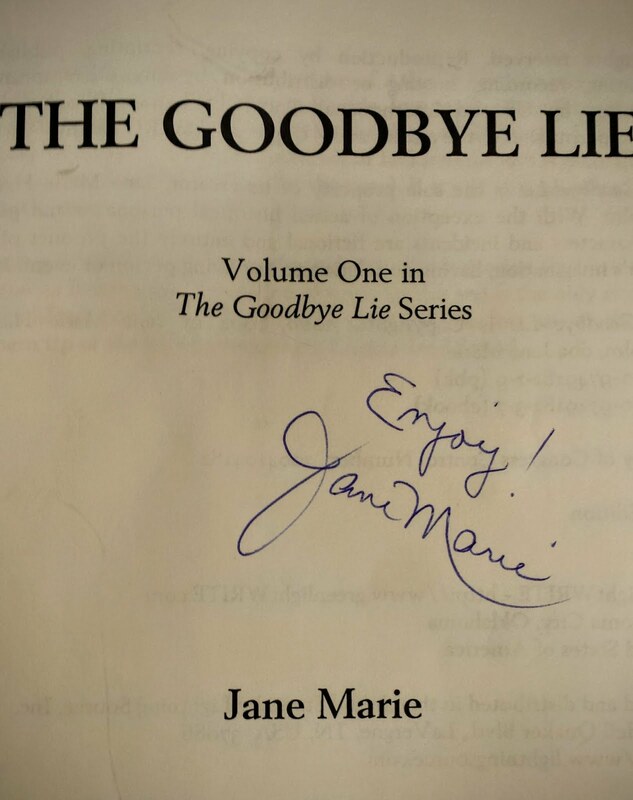 Like the mother from Pennsylvania in her first novel, The Goodbye Lie, Jane Marie was born in Erie. This is just one of the ways Jane Marie mirrors her life with her stories. 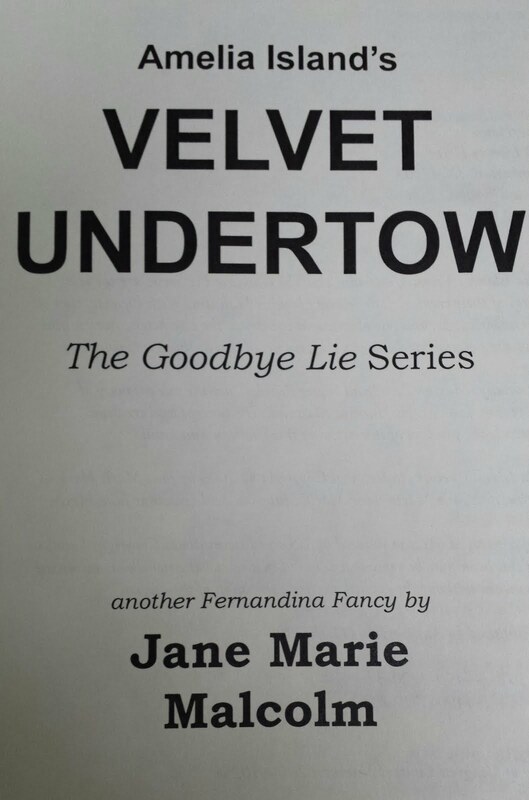 Jane Marie didn’t become a writer until the age of forty. It all started when her family was getting ready to move away from Fernandina Beach. 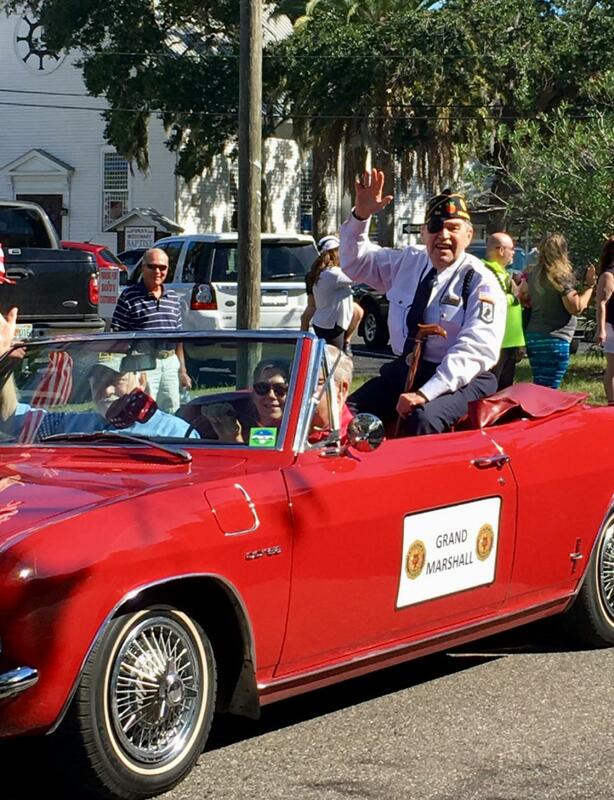 She wanted to remember the little town she loved and combine the history of Fernandina Beach with her love of romance. Just before they left, Jane was working in a quiet shop in Victorian downtown Fernandina. With no one in the store, she was about to “put pencil to paper” and begin her first book. Just then, a man in his forties, who looked to be in his seventies because of his weathered face, walked through the door. He wore a yellow rain slicker and had curly auburn hair that women would kill for. 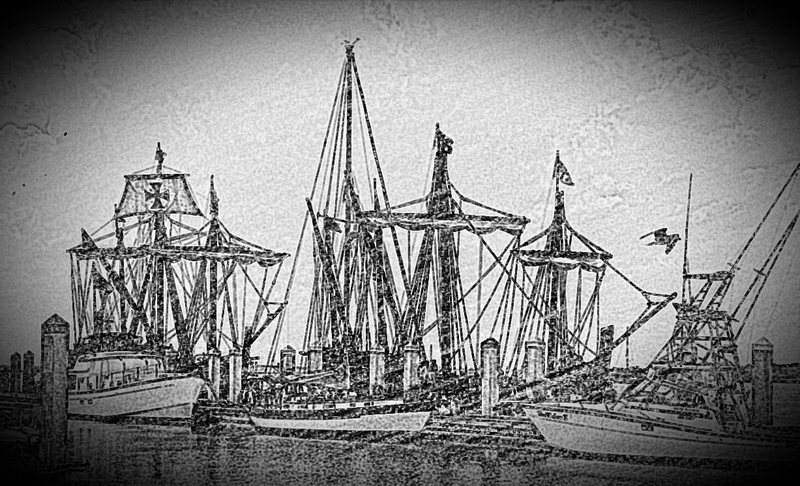 He was a shrimper just off his boat, selling his wares. He became her first character and she named him Catfish. 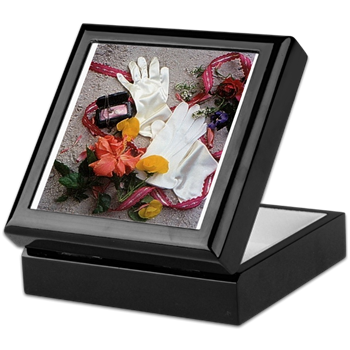 Her original idea was to give The Goodbye Lie to her daughter for her hope chest and, thereby, pass it along to her grandchildren. Needing to find out what happened to the other characters in the novel, Jane Marie continued her work in three more books. As the interview continued, an old grandfather clock chimed the eighth hour in the background, and once again I was taken back in time. 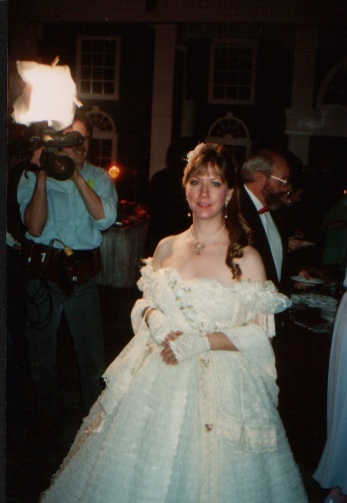 Jane Marie’s favorite era is the 1880s. She used this period in history as the setting for her books. 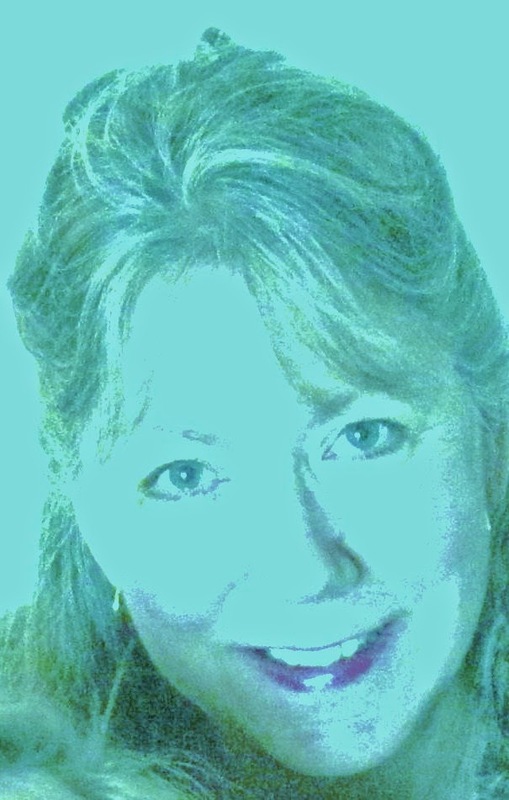 Her characters are created, in part, from people she knows, plus colorful life experiences and surroundings. She used her own family structure as a model for her books. She incorporates items that show her artistic abilities into her writings, such as her Secret Pebbles©. 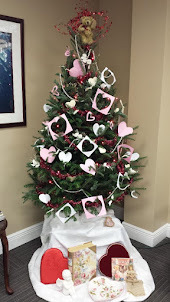 These are hand painted glass stones, decorated with roses, hearts, crosses and/or Christmas trees and come with special verses for different occasions. If Jane Marie couldn’t write for a living, her choice of job would be costume designer. Again, the 1800s would be her preference because the women’s clothing, in her words, “Had a lot of frou-frou. The more the better!” I could picture her dressing that way today if she could get away with it. 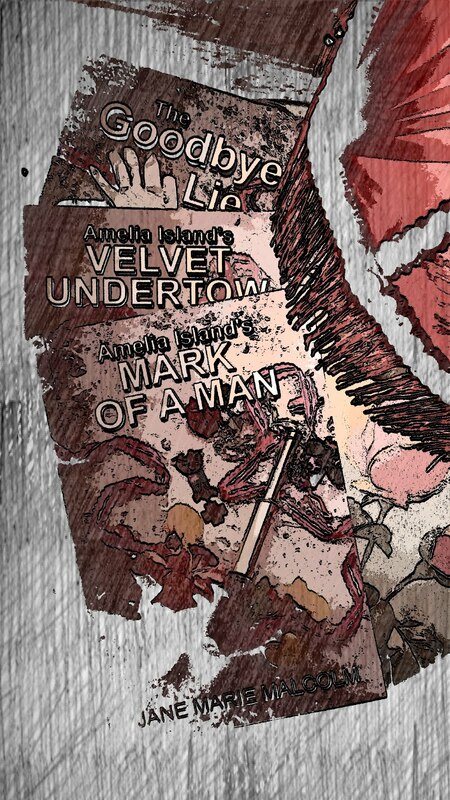 On the back of her second book, Amelia Island’s Velvet Undertow, there is a comment by a fan who says, “Where Little House on the Prairie meets Gone With The Wind …” This is a great compliment because Jane Marie loves Gone With The Wind and considers herself a Windy, meaning a big-time fan. When I asked her who her favorite author was, I was not surprised to hear her say Margaret Mitchell, the author of Gone With The Wind. Jane Marie is known for coming up with her own words, and her favorite right now is "rutstucker." I was laughing at this strange word when she said, “Make sure you write the meaning down so you won’t forget.” A rutstucker is someone who is stuck in a rut. I hope Jane comes out with her own dictionary soon. You can get to know more about Jane Marie Malcolm by visiting her website and blog at www.GraciousJaneMarie.com. 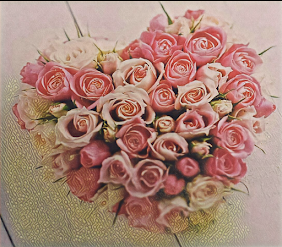 Here, she writes about the heart, home, roses, recipes and romance. 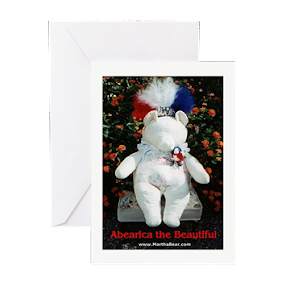 Her second website, www.MarthaBear.com, features her free and silly online children’s stories meant to encourage family reading. 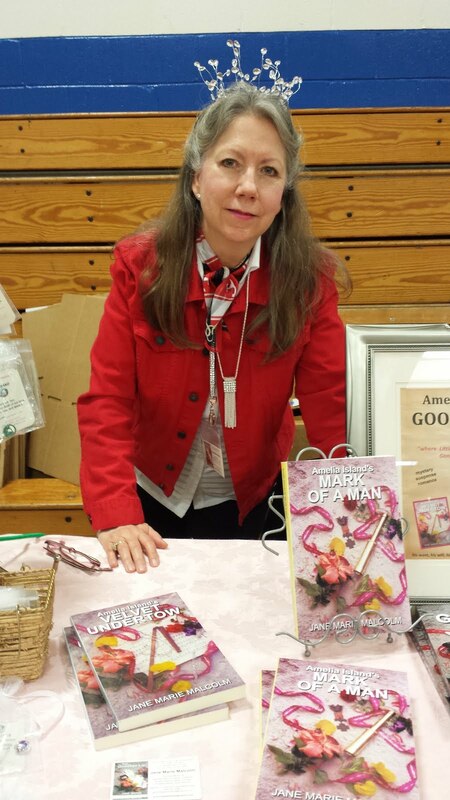 Jane Marie’s books are comprised of romance, family and history. Getting a glimpse into her home and personality, I can see how much her real life and published life are intertwined. She breathes and lives romance. The chapter of my time with Jane Marie was over, so we walked outside together and said our goodbyes. Before I entered my modern carriage, I could hear the ocean behind me. Glancing back at Stately Malcolm Manor, I remembered what Jane Marie said when I asked her for one last thought. “I believe in happy endings.” That said it all.